Howel Jones has overarching responsibility for all Local Partnerships’ programme and project delivery work for clients, including quality assurance. 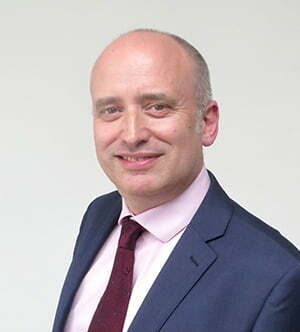 He has almost 20 years’ experience of supporting PPP/PFI projects and other investment programmes across a wide variety of sectors spanning the full project lifecycle, and establishing robust programme and project management frameworks. Howel was previously responsible for all Local Partnerships activities in Wales, which encompassed the waste and renewable energy sectors. He supported the Welsh Government and local authority partnerships across Wales to procure food and residual waste treatment services, in a manner that satisfied the Welsh Government’s policy objectives, whilst providing value for money at both a programme and project level. This involved advising on programme affordability, funding and guidance, establishing the project approval and health-check regime, market building and shaping activities and providing commercial support to procuring authorities throughout the competitive dialogue process. Howel is a qualified public sector accountant and a fluent Welsh speaker.